Nominations are now open for the Bud Jimmerfield Award to recognize a Unifor activist who has shown leadership in helping fellow workers and has participated in activities beyond their workplace to prevent future diseases, death and injuries. The award winner will be recognized at the 2019 Constitutional Conventional, as the Bud Jimmerfield Award is presented to an outstanding union member to recognize their actions in health, safety, environment or workers' compensation. Brother Jimmerfield was a tireless health and safety, environment and workers' compensation activist, not just at his workplace but in communities from coast to coast. He contracted esophageal cancer in 1996 and died 18 months later at the age of 49, due to exposure to metal working fluids in his workplace for decades. If you know a determined health and safety, environment or workers' compensation activist that is making a difference - nominate them today. 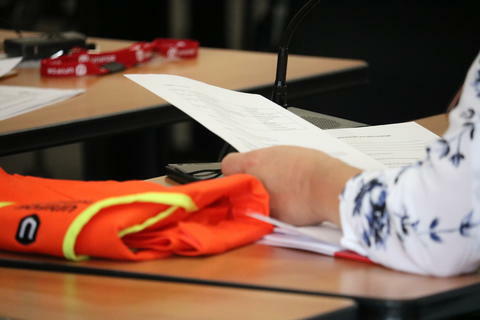 To nominate a member, fill out this form and submit to the Unifor Health & Safety, Environment Department at healthandsafety@unifor.org by Friday, March 29, 2019.